We've been partnering with a talented marketing agency out of Wyoming called Warehouse 21. Headquartered in Cheyenne, it's refreshing to work with a team of creatives across the state line. One of their large clients is the Wyoming Department of Health, and WH21 wanted us to take their scripts, and find a Director who would elevate the creative. The Wyoming Department of Health was launching the "You Can" Quit campaign lead by WH21, with a target audience of Wyoming smokers. Image Brew was hired to produce two commercial spots, 3 radio ads with the same voiceover as the TV commercials, and a kit of still photographs from our shoot for print. They wanted dramatic, cinematic, powerful imagery that would deliver impact. Beyond that initial direction from the agency, we presented a Director's Statement / Pitch Deck to provide an idea of our teams plan. Although our focus is video production, in a case like this, it can often make huge sense to have a creative production company like ours also deliver additional media assets when we're organizing and creating such a large film shoot and managing all talent, locations, and crew. This provides a consistent look and feel to the campaign, creates ease of communication value, and typically a cost savings as well. Jordan Dean, creative director at WH21, is always great about giving my team simple yet concise direction, then allowing my team the creative freedom to make our own decisions in line with that creative umbrella. Jordan wanted us to cast "real looking people" so that our viewers could relate with the folks on screen. By casting folks with an authentic look, we would immediately make the two :30 second TV spots relatable to those in Wyoming. We also planned to shoot with a large, talented crew to manufacture set environments that would feel intimate, personal, and yet not "produced". This calls for a need to light the scenes in a way that looks naturally lit. During prep we then secure lighting equipment for the shoot that can shape and enhance the natural light to the vision of our Director & DP. We brought in Image Brew Director Marshall Burnette to guide our casting and the crew on shoot days. With a focus on “blue-collar storytelling”, Marshall creates films that build trust and respect between brands and their customers. He was the perfect fit. We shot both of our commercial spots over two days, with a crew of 14, all in Colorado. Our budget wouldn't allow for travel to and filming in Wyoming, so our creative location requirement was to find locations in Colorado that could represent Wyoming. The locations we ended up securing were a huge part of the production success. 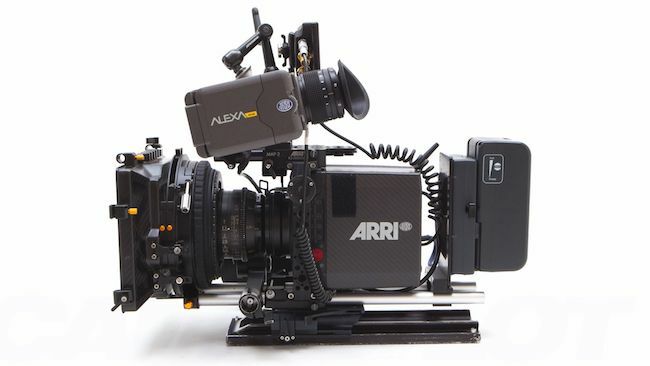 We shot the spots on an Arri Alexa Mini, a camera that's extremely powerful for cinematic looks, yet while small enough to allow for quicker setups and company moves. This was Marshall's request, and the end result is in large part due to this powerful camera's capabilities, like recording in 4K ProRes. Interesting Fact: The gas station scene in "Empathy" (video in next section of story) required us to use a gas station 2 hours east of Denver. They would only allow our crew to film when they were closed to the public, so we shot at the gas station from 10PM - 4AM, requiring our crew and talent to make a sleepy drive home back to Denver that morning. Mission accomplished safely! Marshall was able to crank out a Director's cut within a few days of the shoot, a cut that everyone liked right off the bat. I think there's a huge "value" secret here, one that many of our clients don't take us up on: Let the Director lock themselves in an edit suite for 24 hours and see what they come up with. Even if they cut the spots different from the script, they know best what happened on set, where the gem performances are, or if there may be a different way to tell the story now that the filming is over. There's a lot you can't anticipate early on when writing, and the Director knows best come the edit, which is the most direct oath to storytelling success. - The smoking rate in Wyoming was 20% in 2009, and is currently 16%. - Unique website visits for QuitWyo.org have had a 167% increase between January 2016 and December 2017. - A 46% increase in calls to the quit-line from 2015 to 2017. - Our Agency client, Warehouse 21 said this after we delivered: "The results that allowed us to hit our goals is directly from the TV spots."